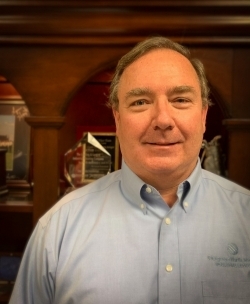 ​Clay Callan is the Chief Operating Officer for Evergreen North America Industrial Services. Throughout his career, Clay has developed teams to deliver exceptional customer satisfaction by ensuring that safety, quality, and business goals are met. Previously, Clay worked as an Operating Partner in private equity where he partnered with operationally challenged companies to drive growth and profit improvement strategies. While at Highland Capital Management, L.P., Clay partnered with Safety Kleen to improve processes and grow revenues prior to it being acquired by Clean Harbors. Clay also held leadership positions at CNH Industrial, Cardinal Health, and General Electric where he led teams to launch new products and improve operations using Lean Six Sigma. Clay received a B.S. in Mechanical Engineering from Texas A&M University and a MBA from the Kellogg School of Management at Northwestern University.